My next-door neighbor, who is one amazing, spunky, 85-year-old German woman from Belgium, loves to tell me all about everything. She comes over to chat a few times a week, always with some gift, like a small bowl of meat loaf, potatoes, and corn, or her latest egg salad. I think she is absolutely wonderful. So my neighbor (Let’s call her Eve) loves gardening and flowers. She also knows how much I love flowers, and she’s probably observed that I am not very good at keeping them alive, so she keeps dropping off books for me to borrow about gardening and such. Last year we had a great conversation about peonies. I bought her a bunch from Trader Joe’s when they were in bloom. 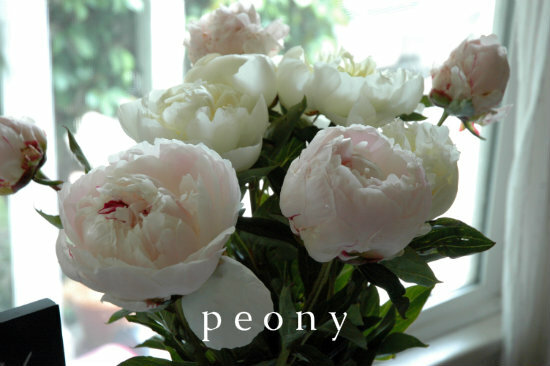 After I handed them to her, she taught me a special fact about peonies that I would like to share with you. 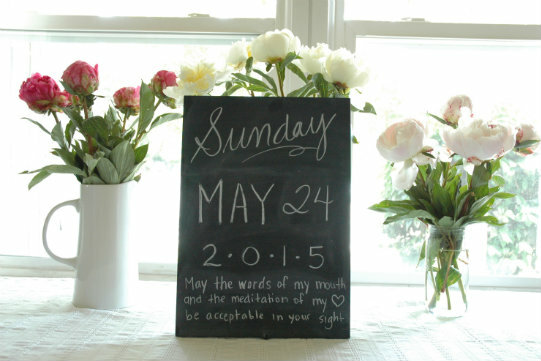 This year, Pentecost Sunday lands on May 24. I admit that I didn’t know much about Pentecost until I looked it up. It’s the story from the book of Acts when the Holy Spirit descends on the Apostles, and today it is celebrated 50 days after Easter. Peonies bloom near Pentecost, about 50 days after Easter, which marks the end of the Easter season and the arrival of the Holy Spirit. I have wanted to write about my wonderful neighbor Eve for quite some time now–but I didn’t know where to begin. She is like a grandmother to me. 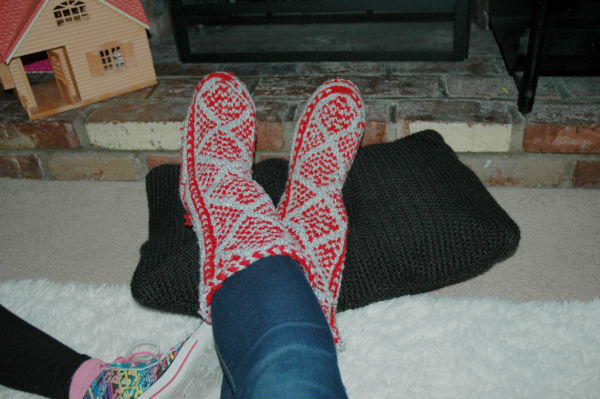 And grandmothers have really cool things to teach us about the world. I promise I will write more about Eve and her husband soon. 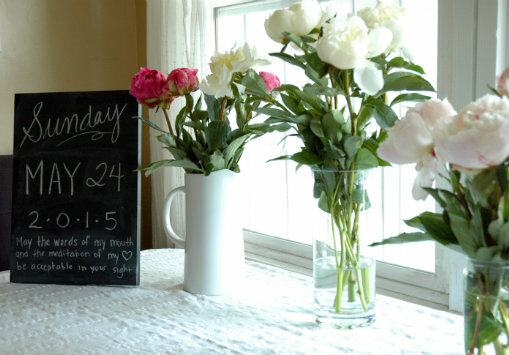 Buy some flowers for your next-door neighbor and you never know what will happen! I hope you enjoy your peonies this season. And I wish you a blessed Pfingstsonntag. 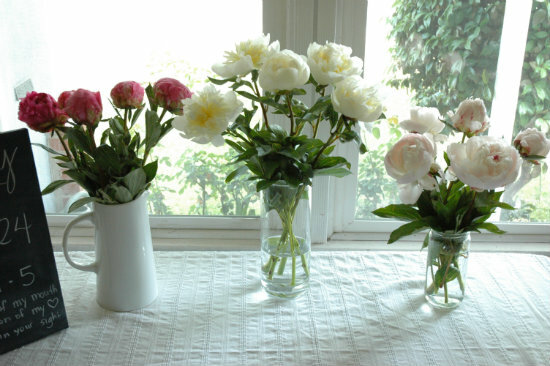 What is your favorite thing about peonies? 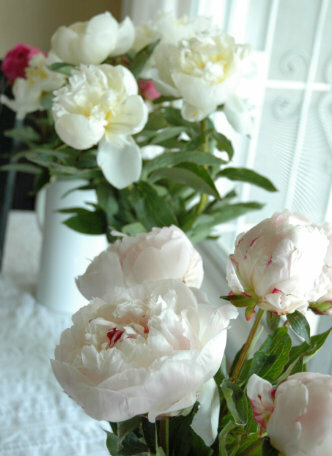 Is there something very special about peonies or another flower that you can teach me?